Leading Manufacturer of vci bag, vci oil, vci oils / pickling pest, vci paper roll, vpci lubricating oil and vci papers from Pune. We are offering a wide range of VCI (Volatile Corrosion Inhibitors) Bag to our valuable customers. Our range of PP bag are manufactured from the premium raw materials to assure the durability. For its supreme qualitry and low price, these bags are highly demanded by the customers. We put forward remarkable range of VCI (Volatile Corrosion Inhibitors) Oil for our valued clients. This oil is developed using high-grade VCI chemicals (volatile corrosion inhibitors) along with advanced methodology. 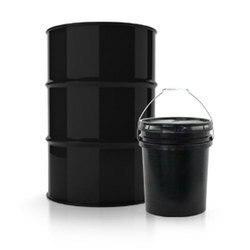 We manufacture this oil while taking into consideration illustrated parameters of the industry. Therefore, this oil effectively protect fuel tanks, gearboxes, engines, engine oil pumps and hydraulics from corrosion. 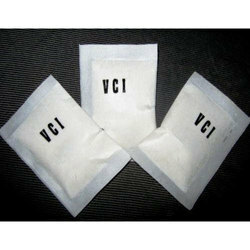 Furthermore, these products are best alternative VCI paper, VCI Powder, VCI Tablets cannot be used. VCI OIL "SP-M OIL" provides an effective method of protection for both during in-process storage, after final operation and during operation. This product protects metals both through direct contact and vapor action. Owing to high-tech VCI chemicals deposit on the metal surface this product form a protective mono-ionic layer, provides protection to the parts from corrosion. Does not require removal when starting operation of engines, machines etc. We are providing our clients with qualitative VCI (Volatile Corrosion Inhibitors) Oil. Developed using high-grade basic ingredients and techniques, this oil performs effectively under the adverse condition of humid and in the presence of corrosive elements such as chlorides, hydrogen sulfide and other sulfur compounds. Volatile Corrosion Inhibitors Tablets also provides dependable and complete water displacement from the metal surface so as to prevent corrosion , thereby eliminating moisture-induced short circuits. 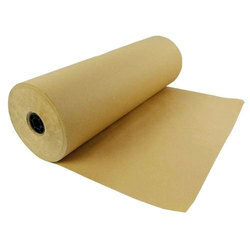 Being the most respected organization guided by experienced and knowledgeable professionals, we provide VCI Paper Roll. The VCI papers offered by us are manufactured as per the set industry norms using finest material & leading techniques. Our offered VCI papers facilitate a full-proof method of dry protection. Also, customers can avail the offered VCI papers in a given time frame. Being a leader in the industry, we are engaged in offering a qualitative range of VPCI Lubricating Oil. VpCI-325 is a safe, convenient, ready-to-use vegetable oil / solvent-based liquid for general purpose corrosion protection in a wide variety of applications. VpCI-325 protects against corrosion and works as an excellent lubricant. VpCI-325 performs effectively even under the adverse condition of 100% relative humidity and in the presence of such corrosive elements as chlorides, hydrogen sulfide and other sulfur compounds. VpCI-325 also provides dependable and complete water displacement from the metal surface to prevent corrosion, and quickly eliminates moisture-induced short circuits. With the help of our state-of-the-art infrastructure unit, we are able to offer VCI Papers that provides an extremely dry method of protection. The VCI papers offered by us are manufactured as per the set industry norms using finest material & leading techniques. Our offered VCI papers offer protection to a wide range of ferrous, non-ferrous and composite metals. Also, customers can avail the offered VCI papers in a given time frame. We bring forth our clients with impeccable VCI (Volatile Corrosion Inhibitors) Foam. The offered products are manufactured using VCI chemicals along with latest technology, while keeping in mind industry laid parameters. Therefore, these foams provide protection to expensive and delicate electrical equipment, components, ferrous/non-ferrous parts and heavy machinery from corrosion and oxidation. Owing to high load of VCI chemicals and capability to absorb moisture, these products offer over 10 times more protection coverage to metal and electronic equipment from menace of probable environmental deterioration. Can be placed/fixed in any position required. 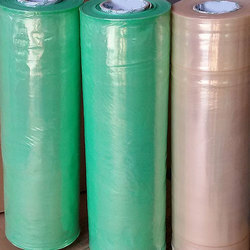 Our organization engaged in offering an extensive range of VCI Wrapping Film. 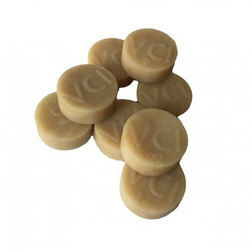 These products are manufactured using high quality raw material. The product is high in quality and durable. These products are available at most affordable prices. We are offering to our valuable customers a wide range of VCI Pouch. These bags are widely used in various industries. They are available in varied sizes and are reasonable priced to our valuable customers. The VCI Tablets provide a convenient method to protect metals from corrosion within a package. These Volatile Corrosion Inhibitors Tablets can be especially dispensed into the package either manually or with a dispenser. 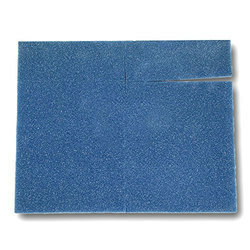 We made available these products in specially designed porous breathable paper pouches. We are offering a comprehensive range of VCI (Volatile Corrosion Inhibitors)Aerosol cans that are designed as per the specific requirements of the clients. 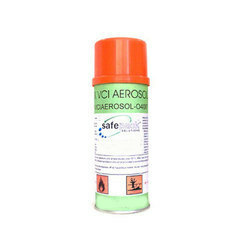 These VCI Aerosol are fabricated using high class raw material that had been obtained from trusted and certified vendors and available at market leading prices. The product can be applied by spraying onto the areas, which have to be cleaned or lubricated. 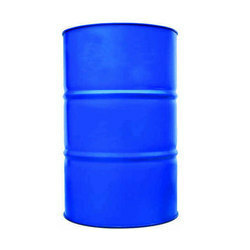 It is ideal rust preventive for closed systems like fuel tanks, Storage Tanks, Gear Housings, Crank Shafts, Hydraulic Reservoirs, Metal Containers, Coolant Circulating systems, Transmissions, Parts of Diesel / Petrol engines etc. By keeping the track of advanced market development, we are engaged in providing an exclusive range of Silpaulin Covers with VCI Film. Our provided products are suitable to ensure excellent ultrasonic welding process by facilitating the strong joints. The offered products are precisely manufactured by utilizing quality material under the direction of our professionals. These products are checked on numerous parameters so as to deliver a flawless range. Our numerous customers can avail a comprehensive assortment of VCI (Volatile Corrosion Inhibitors) Sheets. We offer this products in various ranges including ferrous films, non ferrous films, and multi metal films. 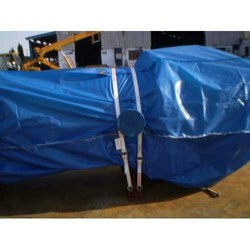 These VCI Sheets are sued for making bag, roll and covers as per customer specification. Our expert quality controllers conduct various stringent tests on these products to assure a defect-free range to our clients. VCI Stretch film for wrapping of metal coils on automatic machines. VCI Stretch film designed for both automated & manual wrap film. 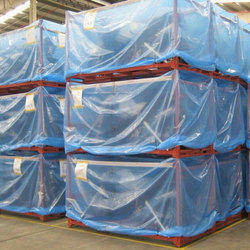 VCI Bubble Wrap film offers added benefit of cushioning for packed metal parts.